American Dream Bed and Breakfast is a family owned business that has been home for travellers here in New York for the past 15 years. Lou Barretto (host and owner) wanted to create a place that was more than just a place to stay in the big city. His passion led to American Dream Bed and Breakfast, where behind its doors guests are welcomed with a warm and friendly atmosphere and offered comforts such as home-made breakfast, hot shower and clean bed. Lou and his family welcome you to American Dream Bed and Breakfast, your home in the city! Conveniently located in Manhattan’s historical Gramercy Park and Flatiron District neighborhood, American Dream is a stone’s throw away from some of the city’s popular sites and destinations: the Empire State Building, Flatiron Building, Madison Square Park and Union Square. Restaurants, bars and specialty shops also dot the surrounding neighborhood. 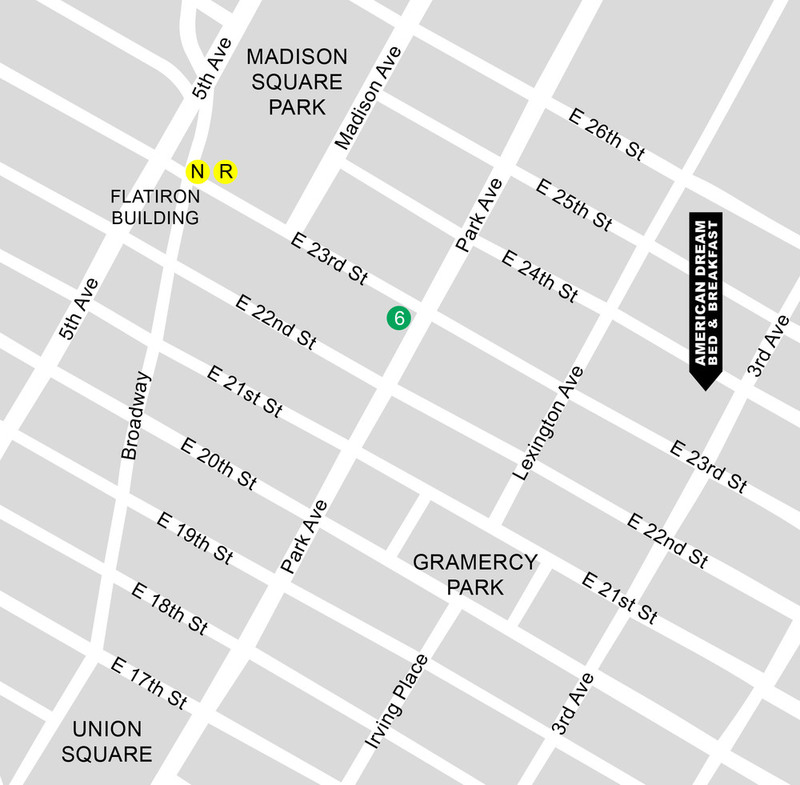 Nearest subway trains are 6 on 23rd St. and Park Ave. and N/R on 23rd St. and 5th Ave.